we are very proud on our first press release, so we wanted to present it to all of you. Please feel free to give us your feedback about it!!! youtrendit Launch Gives Power to the People via Zeitgeist Watchdogs and a Chorus of “Trenders”. youtrendit launch gives the masses a voice with the newest approach to the soon-to-be antiquated “Like” button. Designed to be the heartbeat of cool, youtrendit creates the perfect storm of all things love ‘em or leave ‘em. In the age of selfie shots and YouTube stars, it’s a valid question; who doesn’t want to be a trendsetter? Now, there’s a new way to do it. Capturing what can only be referred to as the digital age approach to a global focus group, the youtrendit.com universe allows users to create a trend, push a trend, or chime in on a trend’s relevance. Offering its users, A.K.A. Trenders, a place to post what moves them most, the site pushes all things off and on trend. Ditching the “Like” button’s limits, youtrendit allows users to make or break a product, a song, a dance move, a party, a fashion style, a burger, and the like. To that end, the site is slated to forge a thumbs up trend of its own. Supporting people, places, and things youtrendit gathers the virtual community with an online platform and iOS and Android apps. 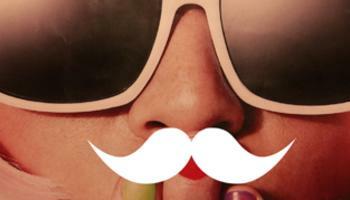 Pulling focus to cool, youtrendit app users can post pictures anywhere and start a firestorm of trending possibilities. 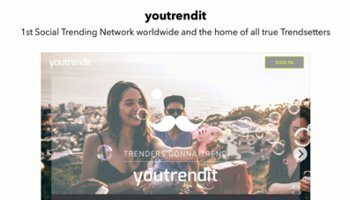 A virtual community that’s constantly in flux, that’s one of the ways Trenders improve their Trender Status. But there’s more. People with similar interests or, Soultrenders, can employ Soulmatches. Now Soultrenders and the youtrendit community use a sliding scale system to vote on how cool or uncool the newly formed trend is. With the ability to use unlimited tags to get the point across, users can create their own tag lists. Brands, bloggers, creatives, and entrepreneurs can also create brand pages and do their own creative research and advertisements. Vedran Jurincic, Founder of youtrendit said of the launch, “Our site was designed to offer a way to share interests and allow others to support them. Still, it can’t be overlooked that its design is a perfect research tool for burgeoning brands. It’s like standing in the break room at work and overhearing what people like and dislike. Only we’re virtual, always on, and global. Like we say, ‘Trenders gonna trend.’. And what do you think? TREND or NO TREND?